Go Technologies partners with some of the finest manufacturers and suppliers of vehicle parts and accessories in the world. This enables us to provide a broad range of integrated solutions at the very best quality. E-Lead is a leading OEM supplier to the automotive industry. Based in Taiwan, E-Lead supplies many of the world's leading automotive companies with various electronic systems including: Bluetooth systems, Multimedia Systems, Rear Seat Entertainment systems, Reversing camera systems and many more. E-Lead has won many industry awards for its products, quality and business performance. 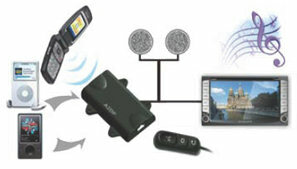 E-Lead is Asia's premier Bluetooth supplier for OEM Bluetooth systems. Vehicles with E-Lead Bluetooth systems are exported from Asia all over the world. Go Technologies is proud to be a distributor of E-Lead products. We work closely with E-Lead sales and engineering to develop OEM solutions suitable for the Australian industry. E-Lead's Bluetooth mobile phone kits are supplied to many of the world's leading automotive manufacturers. Available in configurations suitable for OEM and aftermarket requirements. Custom vehicle solutions are a speciality. 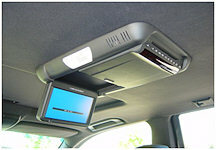 Rear Seat Entertainment – A wide range of Rear Seat Entertainment solutions is available. 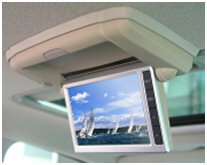 These can be an add-on to an existing in-dash multimedia system or as a standalone system. The range consists of slave screens, integrated DVD combo systems, headrest screens and many different accessories. Famous for their compact design, light weight and many patented features these systems can be easily installed in a wide range of vehicles. Lectronix is a leading supplier of turnkey solutions to the commercial vehicle and automotive market, incorporating the latest in technologies for safety, telematics, infotainment, and navigation. Lectronix headquarters in Michigan also houses a world class manufacturing facility which provides industry leading quality manufacturing to Tier 1, Global OEM, and regional customers, and is ISO/TS 16949 and ISO 9001 Quality System certified. Lectronix flagship product is the T7000. 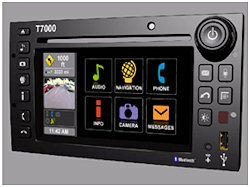 The T7000 driver information system offers a completely integrated vehicle monitoring and information system in a single, dash-mounted console unit. This fully featured solution has been designed specifically for the heavy and commercial vehicle markets. Eurovox has been at the forefront of automotive entertainment and information systems in the Australian market for over 30 years. Built on the philosophy of designing products for Australia's harsh conditions and exceeding the customer's expectations, Eurovox solutions have been installed as standard equipment in many of the world's finest vehicles. The Australian environment calls for solid, dependable and reliable products. This is something that Eurovox products have consistently delivered over many years. Famous for their long range radio reception Eurovox stereo systems have long been the system of choice for Australian vehicles. Eurovox stereo systems have been standard equipment in passenger vehicles, trucks, agricultural machinery, motor homes and many more. Over recent years the introduction of DVD systems and Rear Seat Entertainment Systems for vehicles saw Eurovox introduce the industries first screen and DVD combination unit. This quickly captured the OEM market for keeping passengers entertained. Go Technologies continues the Eurovox tradition and is consistently working to develop new Eurovox solutions.